i love this! the combination of colours really work here! i esp love the colour combos of butterflies! Thank you sweet ladies. Pinks and purples are my faves...shhhhh. 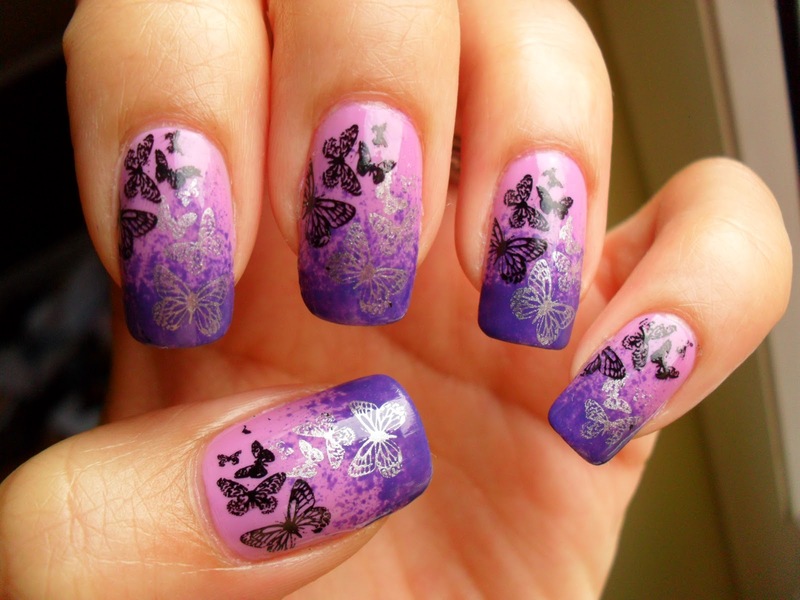 Wow awesome combination and very neatly done! Like! Thanks for the compliments ladies. I tried to be as neat as possible with the stamping - my hands aren't the steadiest! I love this! I love the look of gradients with Konad. I can never get it to look good tho. 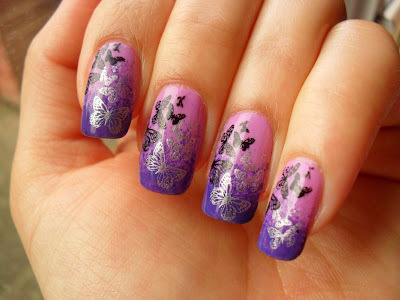 i finally did a gradient the other day that I want embarrassed to wear lol..
love this design... I need to try it on myself!